One of the lasting effects of the TechGirls program is the growing networks and increased cross-cultural collaboration. 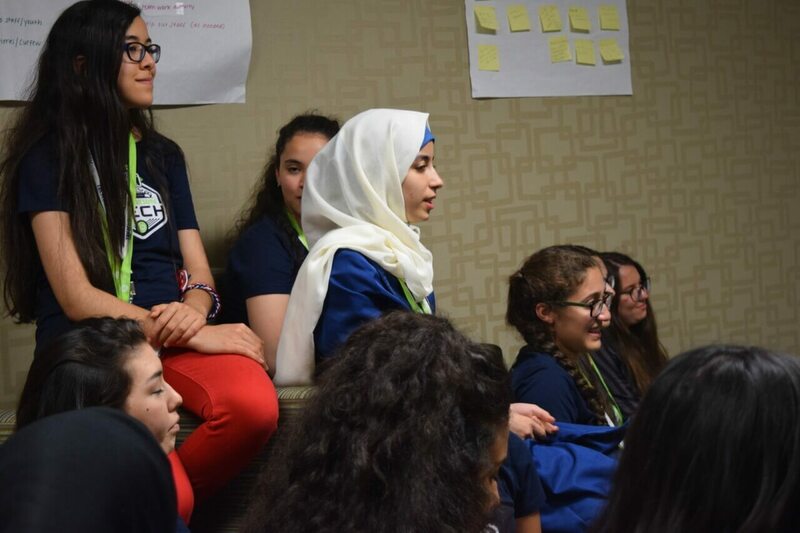 Joumana Srour, a 2016 TechGirls participant from the Palestinian Territories, was placed at the Federal Communications Commission for her job shadow where she met Elizabeth Rojas Levi from Nokia. Elizabeth participated as a speaker and mentor during a women in tech roundtable. Nokia is a huge supporter of educational apps. When it came time for Joumana to begin her follow on project, she reached out to Elizabeth for support. 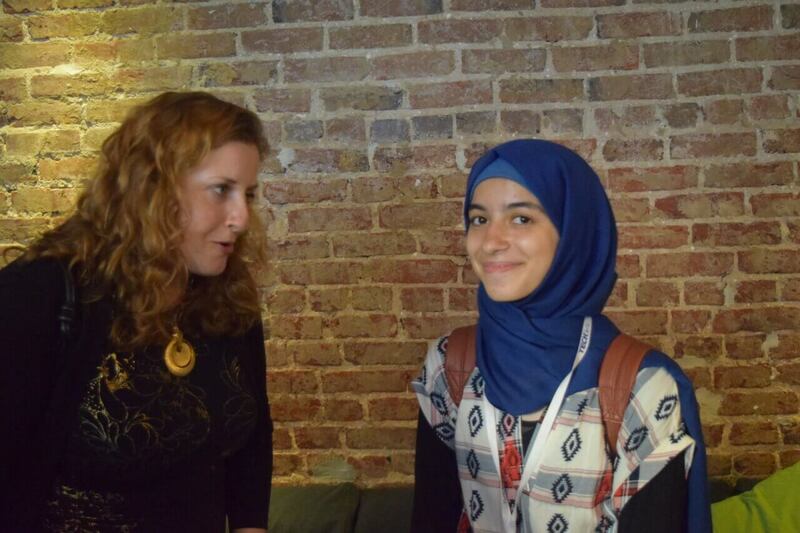 Joumana wanted to create smartphone applications with her peers, but she also wanted to work with peers from the US. Elizabeth, along with her colleague Bruce Kutz, reached out to several local community organizations and ultimately worked to connect Joumana with the IT Club at Rockville High School in Maryland. 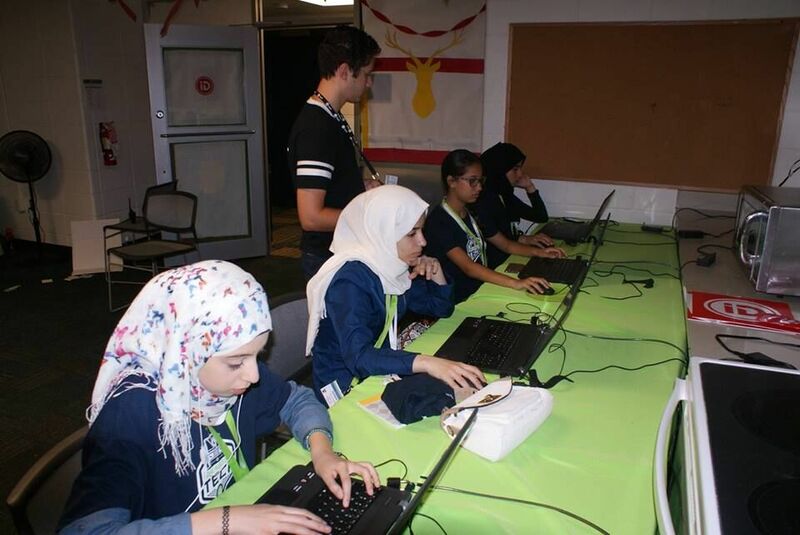 Students in Gaza collaborated with US peers in a month-long MIT App Inventor Program. Ten students from each country (20 in total) competed in creating mobile apps using MIT’s App Inventor 2 (AI2). They created apps they thought would benefit people in their communities. Palestinian teacher Soha Odah and US Teacher David Baker collaborated on reviewing the creativity and functionality of the apps developed. App Inventor 2 was completely new to Joumana’s teacher, Mrs. Odah, but that didn’t stop her. Mrs. Odah saw that there were little resources online in Arabic so she made her own how-to videos for her students. With the aid of these videos, the students were pretty self-sufficient during the creation phase. Mrs. Odah was so impressed, she introduced AI2 to her other students and encouraged the IT club participants to take on a mentorship role. Students from both sides, even those who were initially uninterested in coding, ended up having fun. Life in Gaza requires creativity so Mrs. Odah and her students had a special incentive plan which included students sharing laptops, coaching each other and finding time in their busy schedules. To the surprise of all the teachers at the school, 140 students were highly engaged. Now students are talking about studying IT in college. At the time of this blog, apps are still being judged. Stay tuned to hear more about the winners. Through collaboration, anything is possible.